Registration for the 2016 National Conference is open. Traditionally an all inclusive three day conference, this year there is flexible new program allowing delegates to tailor their experience in Adelaide. Monday 15 February is an opt in day of workshops and tours with the conference officially opening on Tuesday 16 February for a two day program. This year we have half day workshops with a specific focus for retail or technical. The nursery tours continue with both the retail and production adventures leaving Monday morning to visit the industry’s northern businesses. A full registration to conference will ensure your attendance at the three social functions including the Awards Gala Dinner which concludes the conference the evening of Wednesday 17. All delegates will receive a conference satchel containing valuable information in the conference program together with information on products and services supporting the industry. This year Early Bird will conclude after the new year rush on 15 January so there is plenty of time to benefit from this discount. Opportunity also exists for those with limited time to experience the conference with the day rates providing great value. More information on registration and pricing visit www.ngia.com.au or contact NGIA on 1800 252 468 or email us at conference@ngia.com.au . 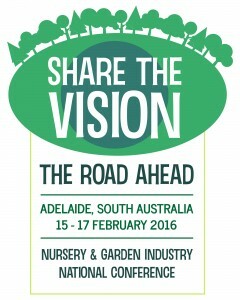 Every two years a national Nursery & Garden Industry Conference is held in an Australian city and over the past 30 years it has attracted an average of 300 delegates – growers, retailers, suppliers and stakeholders. 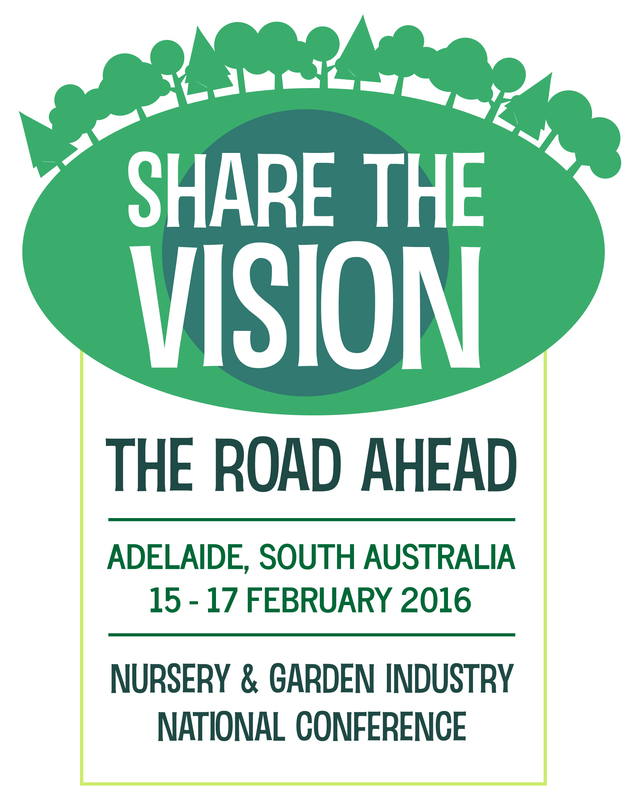 In 2016 the conference returns to one of the favourite conference cities, Adelaide, from February 15-17. Presentation of the annual Nursery & Garden Awards at a gala dinner. You are invited to join your colleagues at the newly renovated Adelaide Hilton for a conference that will have a vibrant atmosphere and plenty to offer delegates. Consider extending your stay to join the Adelaide Fringe Festival which shares the conference dates. Registration is open online. For more information on the conference, visit www.ngia.com.au or contact Kobie Keenan at NGIA on 1800 252 468 (Toll Free) or via email at conference@ngia.com.au. The International Association of Horticultural Producers (AIPH) is preparing for its 67th Annual Congress to take place in Stresa, Italy on Tuesday 20th to Friday 23rd October 2015. Held in the Regina Palace Hotel in Stresa beside the magnificent Lake Maggiore, near Milan, this year’s Congress will provide members and guests with an insight into the Italian ornamental horticulture industry. Delegates will be welcomed by the Mayor of Verbania, Silvia Marchioni, Alberto Manzo from the Italian Ministry of Agriculture and Marco Cappellini, President of Associazione Nazionale Vivaisti Esportatori (ANVE). Delegates will discuss the latest trends and challenges for the ornamentals industry worldwide with expert speakers on plant breeders rights, plant health and greening cities. Delegates will share their own information and experiences that enable the valuable network provided by this major annual congress. A SWOT analysis on the impact of globalisation on the ornamental horticulture industry will also take place for an AIPH international industry research project. In addition, there will be a unique opportunity to visit the Expo Milano 2015. This universal exhibition is a global showcase of more than 140 participating countries as well as international organisations. Over 20 million visitors are expected to visit its 1.1 million square meters of exhibition area. 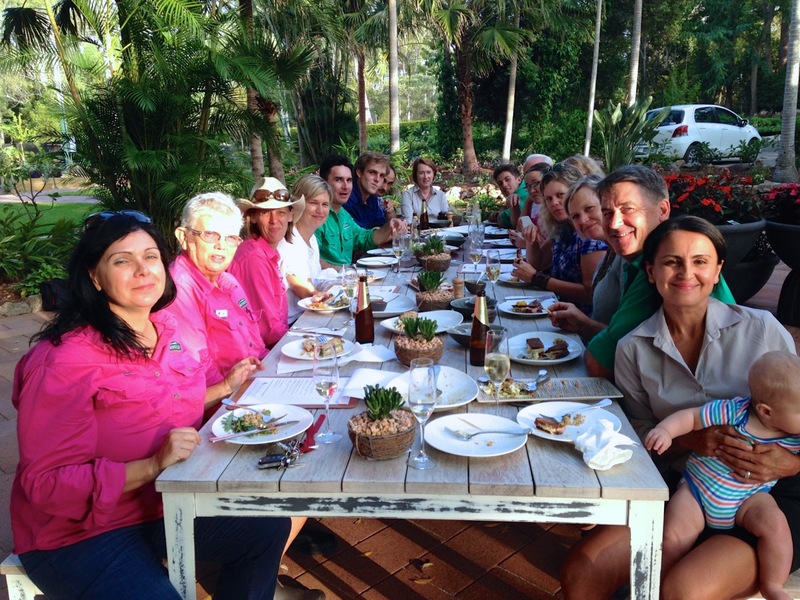 Following this, members will enjoy tours on the lake, a visit to the famous Villa Taranto Botanical Garden as well tours of nurseries and a horticultural college and research station. The main Congress dinner on 21st October 2015 will include a boat trip to Isola Bella’s Palace and Garden, set to be an unforgettable experience. AIPH Secretary General, Tim Briercliffe, commented “This year’s congress is attracting growers and their associations from all over the world. The AIPH agenda is developing fast and as more countries see the benefits of this network we are looking forward to welcoming new members to this event”. Held in the Grand Ballroom of the Adelaide Hilton, this black tie event will announce the National Winners of the 2016 Nursery & Garden Awards. It’s the industry’s most prestigious event of the year and will be an uplifting and enjoyable conclusion of the conference. Conference registration is open HERE. For more information, visit www.ngia.com.au, call 1800 252 468 or email conference@ngia.com.au. Categories & Criteria – There is something for everyone! The Nursery & Garden Awards have been celebrated by the industry for over two decades and during this time they have evolved to maintain their relevance to industry and modern business practices. As a result of modifications in recent years, the 2016 program remains current and unchanged. 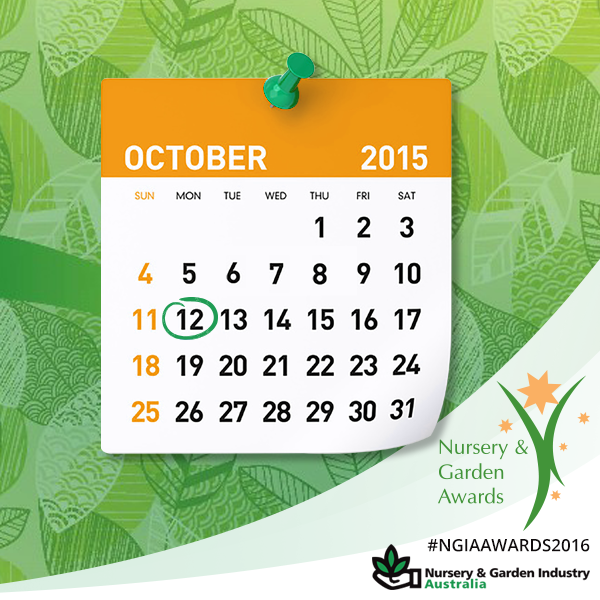 The Nursery & Garden Awards encourage business owners to empower their teams using a ‘divide and conquer’ approach. With the inclusion of a video component again this year, this is a great opportunity to discover the creative and social media know-how of your colleagues. NGIA have developed support resources to assist in entry preparations and have an online social expert available to support all entrants. There is a category for everyone! Enter online at HERE. Entries close 12 October 2016. For more information on eligibility, criteria, the 2016 judging process and support resources visit www.ngia.com.au, call 1800 252 468 or email awards@ngia.com.au. Don’t know where to start? Start with your team! 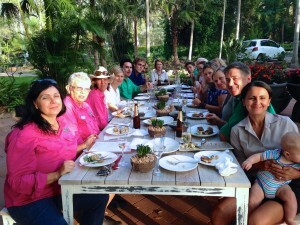 Getting your team involved – the Awards are for everyone. Allocate each of the six business criteria to a different staff member. You may have people specialising in different areas of your business or this could be an opportunity to professionally develop staff in a particular skill. Have a team meeting about what is required by the submission questions. Let your staff help flesh out your responses. You’ll be surprised by all the things being done that ‘just happen’ because of good systems you put in place. And, you can use this catch up as an impromptu planner. Choose a video day! Work towards that day with your staff as though someone is coming to assess your site. Whether it’s a video or a customer – you need to be looking your best. If you are preparing to video your business and support your submission, why not make this video a marketing or training tool too. Put your staff in front of the camera and let them be creative. Have them share their passion for their industry and the business they dedicate their hours to. Do you know who your online socialites, gamers, app addicts, YouTubers, Facebookers, Tweeters are? All of these people have knowledge on how to capture, edit and upload video. Utilise their skills. CLICK HERE for more hot tips and support resources on completing an awards entry or for more information email awards@ngia.com.au or contact us on 02 8861 5100.